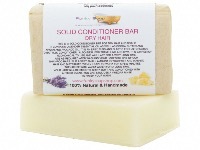 THE MAIN INGREDIENT FOR THIS CONDITIONER IS RHASSOUL CLAY, BENTONITE CLAY AND ESSENTIAL OILS. 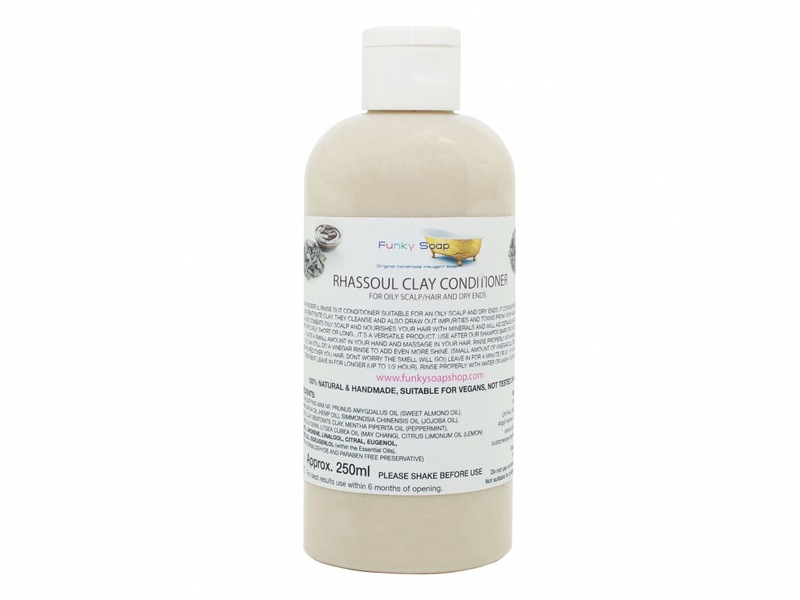 BENTONITE CLAY HELPS DRAW OUT IMPURITIES AND TOXINS FROM PRODUCT BUILDUP ON THE HAIR AND SCALP WHILE RESTORING YOUR HAIRS NATURAL PH BALANCE. 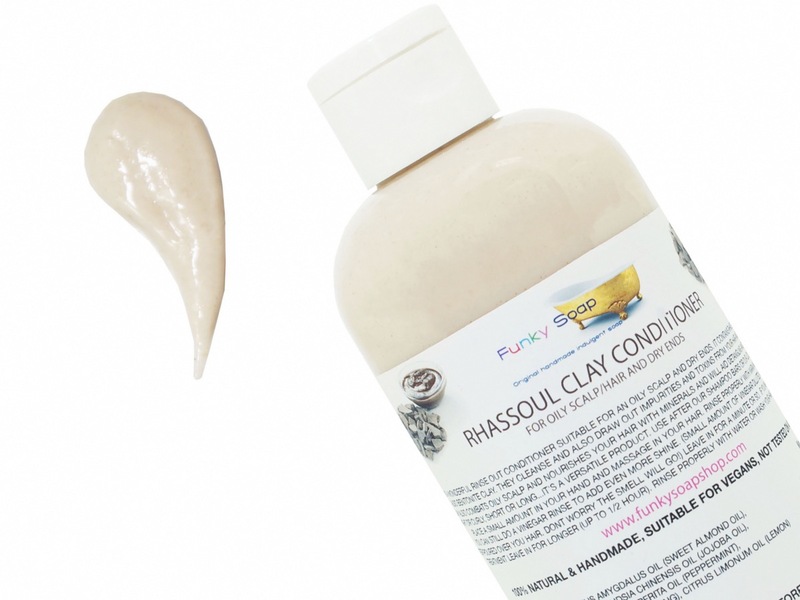 RHASSOUL CLAY IS THE MOISTURISER AND SOFTENER IN THE CONDITIONER REDUCING DRYNESS AND INCREASES THE HAIRS ELASTICITY AS WELL AS UNBLOCKING YOUR SCALP 'S PORES ELIMINATING SCALP CONDITIONS LIKE DANDRUFF. 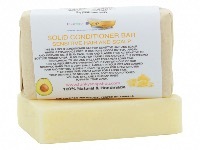 THIS CONDITIONER IS ESPECIALLY FORMULATED FOR OILY SCALP AND DRY ENDS AND WILL ADD SHINE AND MOISTURE AS WELL AS DETANGLE AND NOURISH YOUR HAIR. 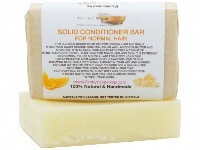 THIS CAN ALSO BE USED AS A LEAVE IN CONDITIONER FOR A DEEPER TREATMENT. 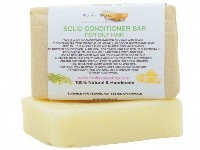 USE AFTER OUR SHAMPOO BARS OR OUR LIQUID SHAMPOOS. PLACE A SMALL AMOUNT IN YOUR HAND AND MASSAGE INTO YOUR HAIR. LEAVE IN FOR A MINUTE OR IF YOU WANT A DEEPER TREATMENT LEAVE IN FOR LONGER. RINSE PROPERLY WITH WATER, FOLLOWED BY A VINEGAR RINSE TO ADD EVEN MORE SHINE (SMALL AMOUNT OF VINEGAR DILUTED IN WARM WATER POURED OVER YOU HAIR. DON'T WORRY THE SMELL WILL GO!) THIS PRODUCT CONTAINS A SMALL AMOUNT OF THE APPROVED PRESERVATIVE OPTIPHEN. OPTIPHEN IS A FORMALDEHYDE AND PARABEN FREE PRESERVATIVE. WITHOUT THIS, THE PRODUCT WOULD NOT BE USABLE FOR MORE THAN 3 WEEKS. PLEASE KEEP OUT OF EYES! PLEASE SHAKE BEFORE USE! OUR PRODUCTS ARE ALL 100% NATURAL AND HANDMADE IN SMALL BATCHES.SHAPE, COLOUR, SCENT, SIZE AND APPEARANCE CAN VARY SLIGHTLY BETWEEN BATCHES AND IT IS IN THE NATURE OF THIS PRODUCT. AS THEY ARE ALL NATURAL SCENTS THEY MIGHT NOT BE AS STRONG OR DEVELOP WHEN IN USE. I haven’t used this yet, as been using vinegar rinse, but will review it once I have tried it. Perfect for my hair and my scalp. Copyright © 2015 - Enter the copyright or legal information about your company here.